For any girl, one of the worst feeling is when she opens her makeup bag and finds her eyeshadow smashed into pieces. This occurs with bronzers, palettes, etc but instead of throwing them all away in distress what you can now do is actually fix them. Yes it’s possible. You can fix your broken, smashed eyeshadow and use them again, and that too at home. No need to replace it this time. Read on to find out how. 2. A coin which is the size of the eyeshadow that you use. 1. 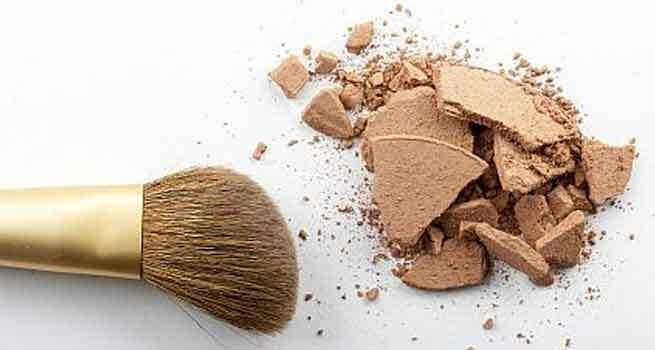 If the eyeshadow is cracked in larger pieces, use a pencil or pen to smash it to a powder until it is broken down to tiny pieces, that will make it easier to put it back later. 2. Take an empty spray bottle and fill it with rubbing alcohol, spray the alcohol to your eyeshadow. In case you are going to repair an eyeshadow that’s a part of a palette, cover rest of the colours and make sure they don’t get sprayed either. Here, make sure the eyeshadow has evenly soaked up all the alcohol and it is damp and not soggy. 3. Now, you are supposed to take a coin which is probably the right size for the eyeshadow in question and what you need to do is to wrap a tissue around it. 4. Then, press the coin that is wrapped in tissue as hard as you can into the eyeshadow. Do this for sometime around 30 seconds to one minute. What can also be done is that one can press down on the eyeshadow with a fingertip. This helps in compacting the shadow back into the form of it’s original container. Another tip is that one can also use kleenex for a fingerless pattern. 5. After a while, pick up the the coin and leave it to dry for sometime. To clean the excess eyeshadow that is bound to be present, clean around the edges. 1. Firstly, crush your broken makeup, in whichever container till it’s a fine powder. Now, add a few drops of alcohol to this, and then create a flat surface. 2. Here, what you do is you change it’s function. 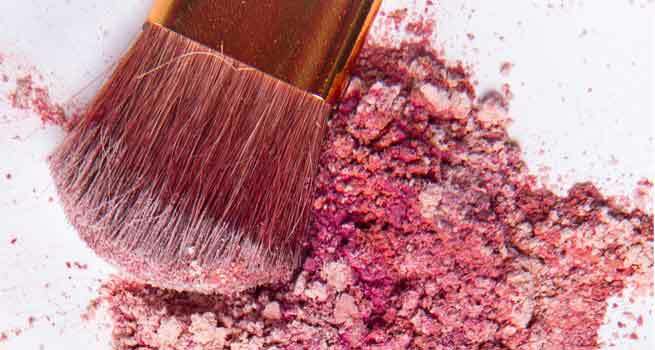 You also turn any broken blush, palette or eyeshadow into a creamish formula. Once the eyeshadow has been pounded down by you into a fine powder, add some Vaseline to it. Now, place this mixture in a container, refrigerate it, and thus you are now in possession of a crack-resistant alternative to fix your eye shadow. 3. Or,try smoothening the necessary powder in some place with a finger wrapped in A Wrap. A butter knife can also be used by you, but the wrap works best. Also, remember to leave the powder dry before you attempt to use it. However, If the damage is too far gone, don’t worry too much, what you can then do is you put all the powder in a jar, shake it well and then use it as loose powder. Therefore try avoiding this so when you travel, use cotton balls. After this, you are good to go! your eyeshadow will most probably be new and usable, much to your delight. This can also work for a blush or bronzer, so you use something in place of a coin that will be the right size for the makeup you use.